The busy fall season is in full swing — whether that means back-to-school or just back to longer, hectic work days. So who has time to spend hours making dinner? This five-day meal plan with quick and easy recipes will have you sailing through the week. Each meal takes 30 minutes or less from start to finish — that means you don't have to do any make-ahead prep like marinating. You don't even have to remember to turn on your slow cooker. We've included a grocery list, too, to make planning and prepping even easier. You don't have to make these recipes in this order so feel free to mix it up however you see fit ... or just pick and choose your favorites. No matter which ones you make, we recommend prepping double batches to freeze or refrigerate for future almost-instant dinners. There's no better way to start your week than with cheap, quick, tasty and healthy black beans. This recipe calls for canned or pre-cooked beans, so it comes together in a flash. Serve them with quick-cooking brown rice and make extra to pack into burritos and bowls for lunch. Leftover beans are also a great addition to breakfast. 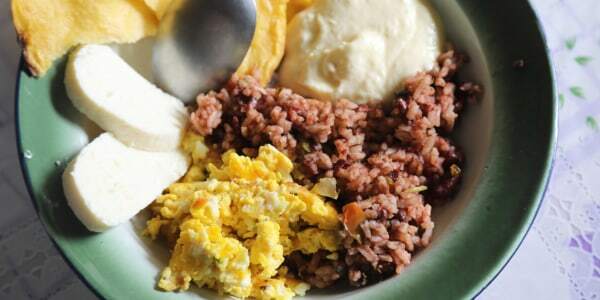 Tuck a spoonful into microwaved Huevos Rancheros in a Mug for extra protein. 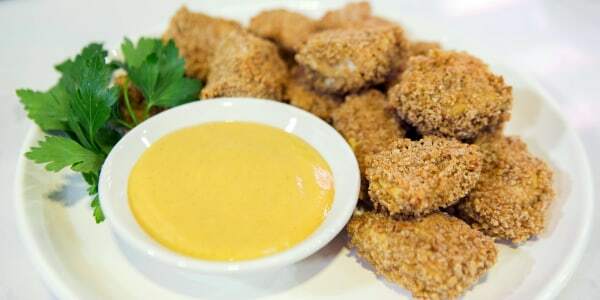 These chicken nuggets are baked, which means they're healthier and easier to make than fried nuggets. Roast your favorite vegetables, such as broccoli and sweet potatoes, right alongside the chicken for a fast and good-for-you comfort food dinner. And definitely cook extras for hearty salads such as Jet Tila's Chinese Chicken Salad or use it to replace the fried chicken in sandwiches like this Chick-fil-A-Style Chicken Sandwich. If you assume a recipe from "Top Chef" judge Tom Colicchio will be complicated, think again. Colicchio shared this simple pasta recipe he makes in his own home, and it takes just 20 minutes to prepare — all in one pot! Feel free to swap out the ham for other meats or add your favorite vegetables. Got a pack of ground beef in the freezer? 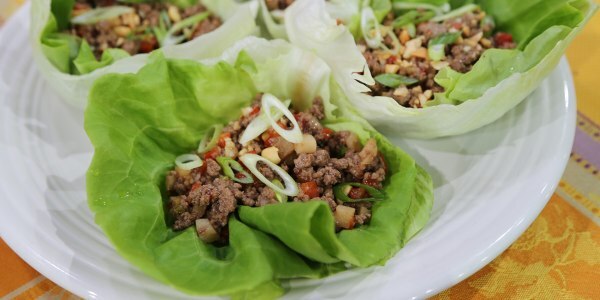 Thaw it out for these zippy lettuce cups filled with ground beef seasoned with garlic, ginger, hoisin sauce and — for those who like it spicy — sriracha sauce. 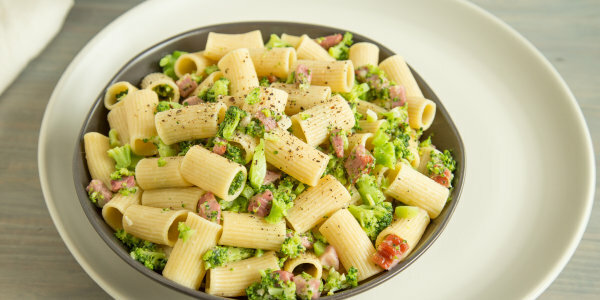 While Siri Daly notes that her husband, Carson, likes the fact that this dish is low carb, you could also serve it over rice or another grain. The leftovers are great served cold or at room temperature for lunch, too. Not a fan of beef? These wraps are also great with ground pork, chicken, turkey and even vegetarian soy crumbles. 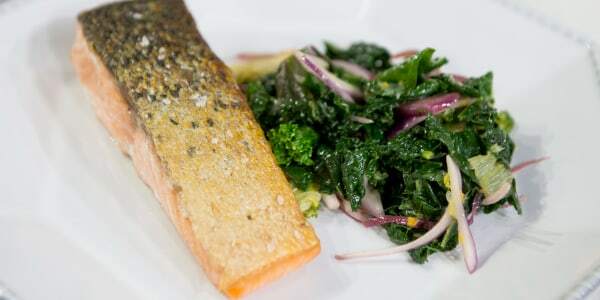 The brilliant thing about this recipe is that the kale is cooked right in the same pan as the fish —so there's just one pan to clean up after dinner. Fall is prime time for kale, too, so it should be at its tenderest and most tasty. If you don't mind dirtying one more pan, couscous, bulgur or quinoa would be a nice additional side — but it's just as good with a no-cooking-required loaf of crusty bread.